Rust-Oleum Heat Resistant Paint 750°C is for use on new, bright or shot-blasted steel or well pre-treated coated surfaces. Rust-Oleum Heat Resistant Paint 750°C are heat resistant coatings based on a silicone modified alkyd resin and are intended for small maintenance jobs and repairs. 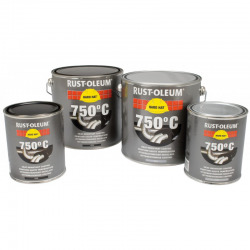 Rust-Oleum Heat Resistant Paint 750°C provides protection up to a dry heat of 750°C (short-term peak load) for applications indoors or in a sheltered outdoor environment. Hi, Would this product be suitable to use on the brass surrounding a gas fire! No, Rust-Oleum Heat Resistant Paint 750°C is intended to be applied on new, bright or shot-blasted steel or well pre-treated coated surfaces such as barbecues, boiler fittings, hot air cannons, exhausts, etc. We have more information on painting areas surrounding fires on our blog post: Painting the Walls around a Fireplace or Multi Fuel Stove. Will this be suitable to paint directly onto a stainless steel chimnea chimney? 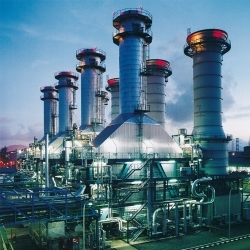 Which will be exposed to high temperatures. 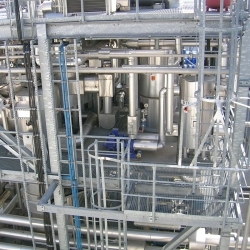 Stainless steel would need to be abraded first to aid adhesion, the product will then withstand Standard 600°C (dry heat) / Short term peak 750°C (dry heat). hi is Rust -oleum heat resistant paint ok for worktops. Thanks. No, we only recommend Rust-Oleum Worktop Transformation Kit for worktops. Hello, would this be suitable to paint the top of our electric cooker at the back where the original paint is flaking? No, we do not recommend this for domestic applications on cookers, ovens, microwaves, etc. No, this product is not suitable for floor surfaces. If you can provide more details about what you are trying to achieve and the temperatures the floor surfaces may get up to we may have something suitable. 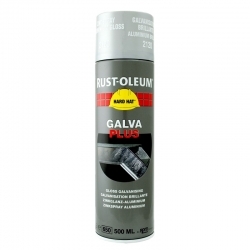 Rust-Oleum Heat Resistant Paint 750°C is a matt finish only available in Black or Aluminium colours. 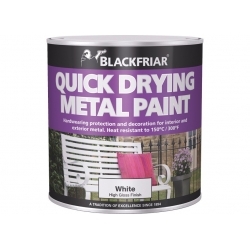 Blackfriar Quick Drying Radiator Paint will take a temperature up to 150°C and is available in a white semi-gloss finish. As we don’t know what actual surface temperature the storage heater will get up to we can’t say for sure if the paint will be OK on any particular storage heater, it could depend on the model, type etc. You will need to check with them manufacturer to find out what the surface temperature of their particular heater will get to during use. If it is below 150°C then Blackfriar Quick Drying Radiator Paint could be used. Please can you advise whether your heat resistant BBQ spray paint is suitable for use inside a domestic oven (to seal/protect bare metal exposed by damaged enamel). We can confirm it would NOT be suitable for this application. No, Rust-Oleum Heat Resistant Paint 750°C can only be applied by brush or roller. 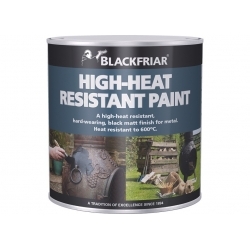 Blackfriar High-Heat Resistant Paint may be applied by spray. 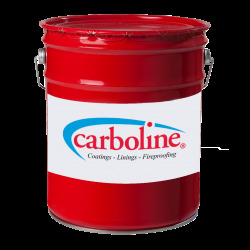 We offer many other heat resistant paints that can be applied by spray, if you have a specific substrate, temperature, environment, etc. then please contact our Technical Team on 0113 2455450 (opt. 2) or [email protected] with your requirements and they will be able to advise you on the best suited product for your application. I have a real fire and want to paint the marble hearth and backing and metal surround which is brass. Would this paint be suitable. Could this be used to paint cast iron pan rests on a hob? 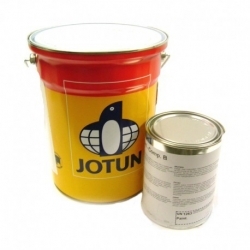 Rust-Oleum Heat Resistant Paint 750°C is intended primarily as an industrial coating, due to this fact we would not recommend its use on your project as it has not been tested for such use nor has it been submitted for such approval. 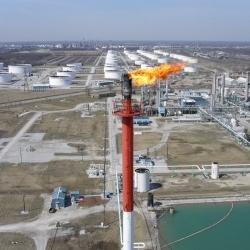 Rust-Oleum Heat Resistant Paint 750°C provides high heat resistance (in excess of 100°C), and in such environments (heavier duty) corrosion is not normally envisaged. So in that respect it may not resist corrosion for longer periods as we imagine an exhaust is likely to be subjected to moisture and salts from the roads, both of which will encourage corrosion. 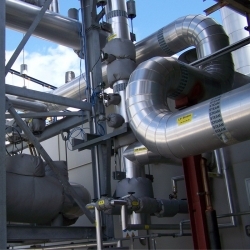 However, products which will offer better corrosion protection may well fail as a result of the high heat exposure – depending on what temperatures will actually be present on the exhaust. I need a black paint for painting motorcycle exhaust, with a drying temperature of 250 to 280 degrees and a minimum of 550 degrees without paint damage.Please give me more information. Thanks! Full hardness is achieved 24 hours after the minimum service temp of 150°C is reached. Gradually heat the coating to 150°C (max. 50°C/hour). The cured coating will then have a heat resistance of standard 600°C (dry heat) / Short term peak 750°C (dry heat). From the link provided it appears these are manufactured using non-ferrous metals, and presumably the blue appearance is achieved with an (unknown) coating type. So, as long as this surface was degreased and lightly abraded, we would expect Rust-Oleum Heat Resistant Paint 750°C to be suitable. Have you a paint that I can use inside a cast iron kettle? The original enamel has chipped, I have treated the rust with a phosferic acid. No, we don't have any products suitable for this application. 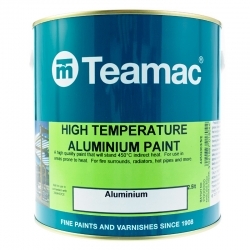 Assuming the 'masonry' is bare and not previously painted, yes the Rust-Oleum Heat Resistant Paint 750°C could technically be applied, however it won't be the most decorative finish as it is a solvent based product intended for application to metal. Most paints like this I have found require curing at a high temperature before use. Is that required here? No, the only product we offer suitable for application to kitchen worktops is Rust-Oleum Worktop Transformation Kit. No, Rust-Oleum Heat Resistant Paint 750°C can only be applied by brush or roller and must not be thinned. Blackfriar High-Heat Resistant Paint may be applied by spray, but again must not be thinned. As long as it is bare steel, does not exceed continuous temperatures up to 650°C (peak temperatures up to 750°C) and is not in direct contact with flames. Test a small area first to be sure of compatibility and finish. Question: Hi, Is this food grade, i.e., can this be used on a barbecue spit for the central pole that will hold the food? Thanks. No, we don't recommend this is used on surfaces directly in contact with food or flames. Rust-Oleum Heat Resistant Paint 750°C is suitable for indoor or sheltered outdoor environments. The rusted surface will need to be thoroughly prepared to remove all loose and flaking rust and ensure a clean, dry surface to paint. Apply 2-3 coats of Rust-Oleum Heat Resistant Paint 750°C, this will help with the future protection of the chimnea to a degree but its primary function is not to be a corrosion resistant coating but to withstand high temperatures. Question: Hi I'm looking to tiles on a fire surround and hearth. Would your heat resistant paint be appropriate? Would it require any specific primer? We currently use the open fire. Rust-Oleum Heat Resistant Paint 750°C would not be suitable but Zinsser Bulls Eye 1-2-3 followed by Zinsser Perma-White Interior would be. We assume the areas you will be painting won't get too hot (not above 80-90°C). This system would provide a non-yellowing finish and if any sparks land on the painted surface they will mark the paint but it won’t catch light. Most heat resistant paints will have reduced durability until they have been put into service for the first time. Most products like Rust-Oleum Heat Resistant Paint 750°C don't need any special treatment to be carried out to cure them they just simply need to be put into use. So in your instance what the products are explaining is that you might find the paint can be easily marked or scratched until after the first use of the BBQ. Using the BBQ for the first time will 'cure' the paint and increase the paints durability.